David Edwards in Bizarre Love Triangle at Northern Stage, Newcastle. OCD is probably one of the few mental illnesses that is still seen as a bit of a joke. You like your books tidy, your pictures straight, you go back three times to check the door is locked or panic you left the gas on. “Must be a bit OCD!” Even though generally done without malice, such comments minimise the devastation OCD can wreak not just on its sufferers, but their relationships and those around them. Presented as part of Brain Awareness Week in conjunction with the Institute of Neuroscience at Newcastle University, David Edwards’ (mainly) verbatim one-man show seeks to address some of the common misconceptions about the condition. 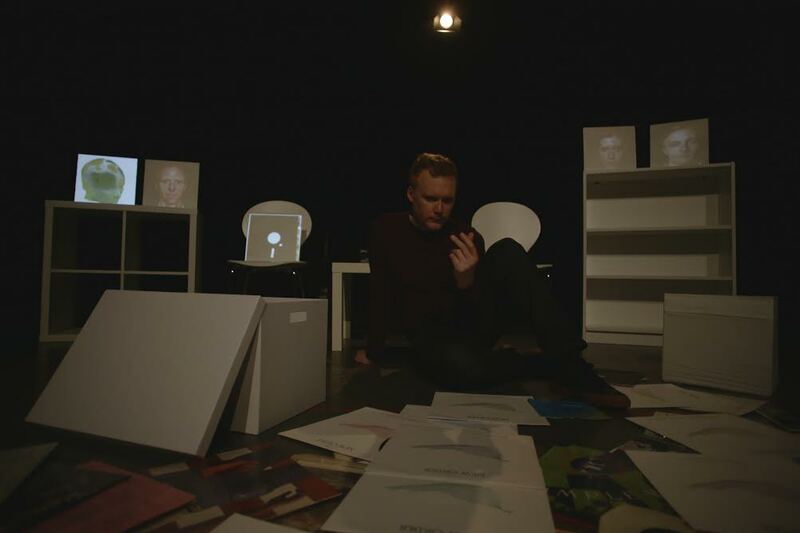 It’s a short piece – with such narrative as there is loosely structured about deciding which New Order records he would save in a fire – with Edwards’ monologue interspersed with video clips of three other sufferers explaining their symptoms and how they have been affected by living with OCD. It’s a devastating recital, featuring everything from broken romances to failed employment to suicide attempts. But writer Johnny Bussell (working with Edwards, who conceived the piece) balances these accounts with wry humour and self-awareness (“no, I won’t come and tidy your house”), and there are surprisingly plentiful laughs for such a serious topic. The music punctuates the production nicely – who is ever averse to a quick burst of New Order? – and there are some really smart moments. A stand up comedy routine featuring the standard OCD jokes we’ve all heard some variant of works particularly well, set off cleverly against the reality of the condition. There is no doubting the production’s intentions, but from a dramatic perspective, not everything gels. Daniel Nettles’ direction keeps things tight, but while I will never knowingly complain about a play being too short, this felt slightly like a Fringe work-in-progress, in need of a final polish and a little more meat on its bones. The ending, in particular, felt both flat and abrupt, so sudden it takes a moment to realise the show is actually over. But such flaws could be – and should be – rectified, because a piece this illuminating and humane deserves a longer life. Bizarre Love Triangle was on at Northern Stage on 13th May. More info here.